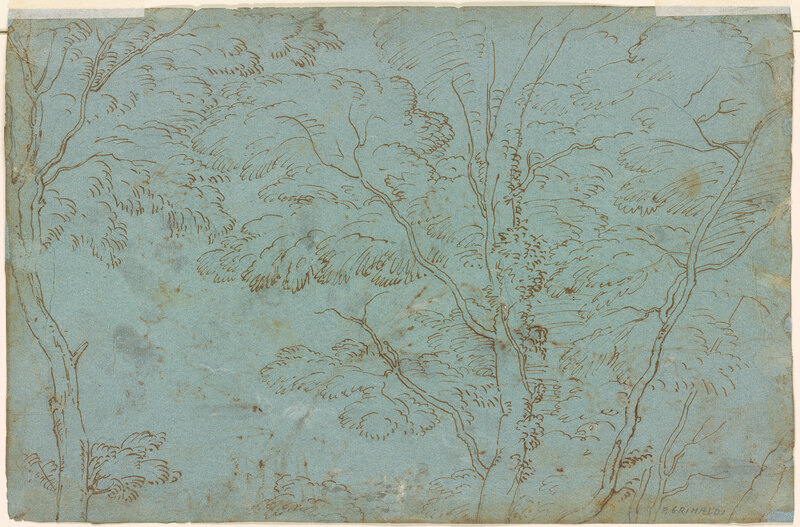 Pen and brown ink, with gray wash, with black chalk, on blue paper; framing line in pen and black ink; verso: pen and brown ink with touches of white chalk. Numbered at lower right in pen and brown ink, "9". Illegible inscription at lower left (erased). 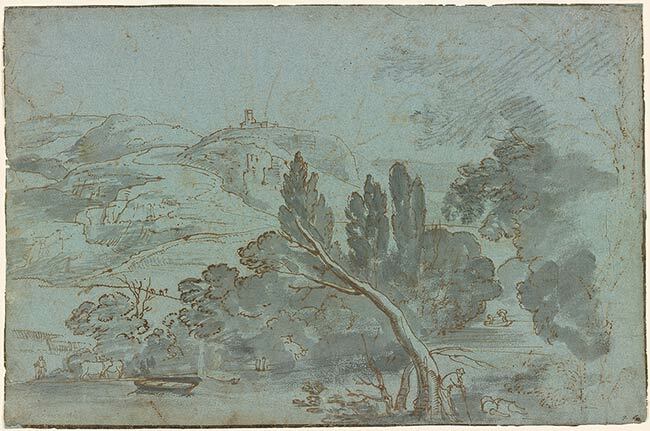 Giovanni Piancastelli, Rome (no mark; see Lugt S. 2078a); Edward and Mary Brandegee, Boston (no mark; see Lugt S. 1860c); János Scholz, New York (see Lugt S. 2933b).